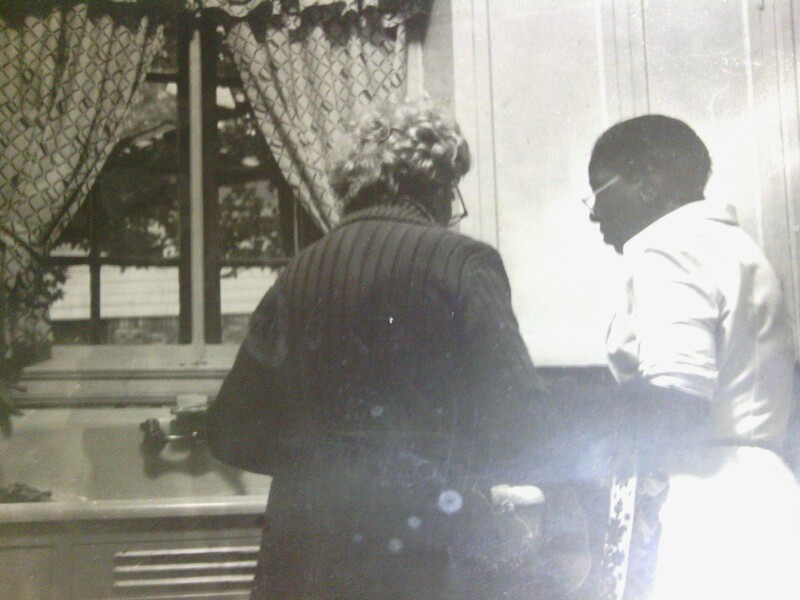 For more than thirty years a woman named Louella Thomas worked for my family. She split her week working at our house and at my grandmother’s big white house on Prospect Avenue. We called my grandmother Bubba, but her real name was Ruth Stell. She was the widow of a surgeon and spent her days trying to help people and keep her life just as it had been when her husband Dr. Jack Stell was still alive. Louella was my best friend. She was my grandmother’s best friend too, Bubba just didn’t know it. When I was seven years old Louella saved up enough money to take a three week tour of the Holy Lands with her church group. Bubba was furious, indigent and shocked. Her maid traveled overseas before she did! Louella brought me a camel made of straw from Jerusalem. Bubba said it was ugly and made me keep it at our house. During the sixties, when there was so much racial tension and turmoil, Louella took great care to keep Bubba out of harms way. Sometimes Bubba drove her all the way home, to the housing projects on Spring Street. But when things were really bad, Louella only let my grandfather drive her half way home, then she took a cab. She didn’t want anybody yelling at Bubba and upsetting her. Louella was probably ten years younger than Bubba and over the years she began moving a little more slowly. When she was close to sixty, Bubba became very concerned because Louella had to drag the vacuum cleaner up and down the big stair case. So she bought a second vacuum, one for upstairs, one for down stairs. Over the next ten years Bubba ended up buying four or five more vacuums, one for almost every room because she didn’t want Louella lugging them around. Every afternoon the soap opera The Doctors came on at one o’clock. It was “their story”. 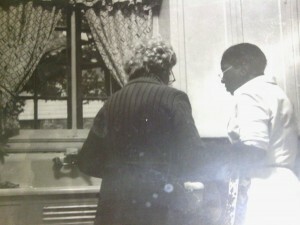 Louella would take her lunch at one o’clock and the two old women would sit in Bubba’s bedroom and watch “their show” together. Bubba’s room was the only room with a tv and it was the only air conditioned room in the house. If I walked in and interrupted both women would turn and “shhhh” me together, almost violently. Then Louella would wink at me and I knew I wasn’t really in trouble. As years passed, Louella got too old to work every day. But The Doctors continued. The two old ladies would stay on the phone for exactly an hour watching their show together and talking about the details and plot twists during the commercials. Everyone in the family knew calling Bubba between one and two was useless. As they got older more of their friends died until they were just about the only ones left. Then the ladies would sit on the side porch together, Bubba in her dress, Louella in her white uniform and they would send to the kitchen for ice tea and ice cream. Bubba was in her late eighties, maybe even ninety when my brother, Jack, was killed. He was twenty three years old and in college. My father had died just two or three weeks earlier. I remember that night so clearly. I was sitting with my mother when she got the news. And after just a few moments of thought, Mom picked up the phone and called Louella Thomas. She asked Louella to please take a taxi to my grandmother’s home. She knew Bubba wouldn’t be able to bear the news of my brother’s death without her dearest friend at her side. 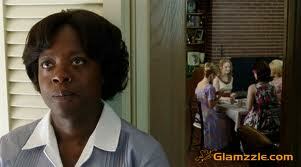 Louella Thomas was a black woman who worked for my family for twenty or thirty years. Well, she worked for my family but Louella was actually my family. Everyday when I came home from school she always had a peeled apple and a cup cake waiting for me. Then she would sit on the couch and watch Lets Make A Deal and I’d take a nap with my head on her thigh. Louella would get mad at me because I’d go fishing but I hated throwing the tiny fish back in the lake. So I’d get all her pots and pans, fill them up with lake water, then put the fish in there to swim around. She would find me on the dock, surrounded by pots and pots of sunfish and brim. I never learned how to make a bed because of Louella, and that problem still haunts me today. One time, when my mom was crazy mad she sent me upstairs to get a hair brush so she could spank me. I then asked if Louella would come in the room. “Because I know she won’t let you beat me to death.”eight year old me said. Louella also worked for my grandmother, Ruth Stell, on Prospect Avenue. And one day Louella suddenly announced she was going to the Holy Lands with her church. She’d been saving her money for more than two years and was heading to Jerusalem for a week. My grandmother was stunned and indigent and secretly jealous because Louella was making the trip of a life time before she was. Louella brought me back a straw camel from her trip but told me not to show it to my grandmother. When I was an 18 year old debutante Louella was invited to the Ball. The committee asked my mother to un-invite her becasue she was black. But my mom loved a rightious fight and the committee back down. So, Louella was the first black woman to attend the Debutante Ball. She sat next to my mother and I gave them both a rose during the ceremony. There was a party after the ball and I remember I begged Louella to say. I didn’t understand why she wanted to leave so early because I was, apparently a moron at eighteen. Yeah, she was pretty smart.